The future of analytics is in the cloud. Organizations can explore, expand, and grow the way they want by having control of data, no matter where it resides. With hybrid analytics, you can start bringing your digital strategy into the cloud along with your previous investments. 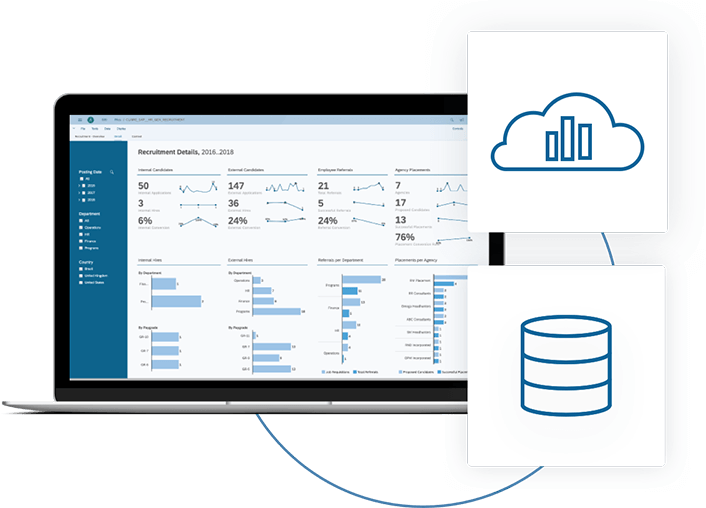 Wherever your data lives, SAP Analytics Cloud collects data from on-premise and cloud databases so you can make decisions based on analytic insights across the enterprise without sacrificing your existing on-premise investments. 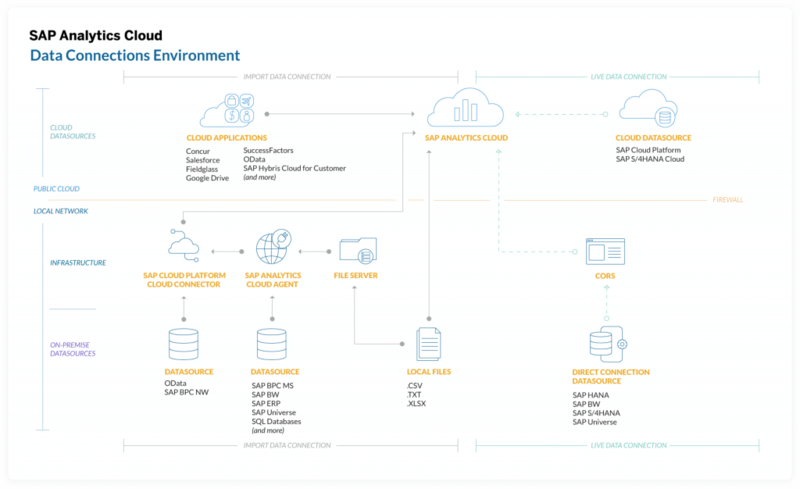 SAP Analytics Cloud provides the capabilities, infrastructure, and security to blend on-premise and cloud data. With SAP’s secure data centers located all over the world, robust functionality, and consumer-grade experience spanning across BI, planning and predictive, SAP Analytics Cloud offers a new experience, which is lean and productive. With SAP Analytics Cloud, you can easily combine both live data and import data connections. Connect on-premise and cloud data sources for a clear picture of your business. Live data connections can be created using a ‘Direct’ connection type, which doesn’t require any additional hardware and has a minimal set-up. Have questions around specific system requirements and technical prerequisites for your data sources? Contact us today. Our Consultants would be more than happy to help guide you.